Quick Time - The Chip's Challenge Wiki - The Chip's Challenge Database that anyone can edit! There is not enough time to finish this level without picking up the time bonuses. Each bonus is worth 10 seconds. Quick Time is the 38th level in Chip's Challenge 2. It was created by Chuck Sommerville. This level is one of few levels in Chip's Challenge 2 in which the bold time is actually higher than the time the player is given at the start of the level (some others being Freeze Frame and Rush). This is due to the time bonuses that can be picked up. 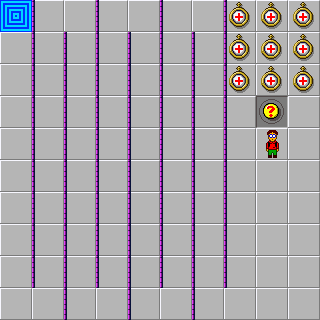 If all 9 are picked up by the player, the player may finish with 88 seconds on the clock. This page was last edited on 20 January 2019, at 16:19.